The former quarterback turned analyst had Twitter buzzing during the epic drama unfolding between the Chiefs and Patriots. The second-year phenom was in a big spot, the eyes of the nation on him in a tense, high-stakes situation. Social media was prepared to pounce at the slightest misstep, as always. Circumstances were evolving at a frantic pace. Might the much-hyped new guy turn out to be a flash in the pan under pressure, or might he be a decade-plus keeper? Patrick Mahomes? Sure, now that you mention it, he performed well on Sunday, too. But the Chiefs quarterback is not advancing to Super Bowl LIII. CBS’ Tony Romo is, and never has a television analyst deserved the honor more. Before going any further, let us note the obvious: Mahomes and Patriots counterpart Tom Brady get infinitely more credit for a classic AFC Championship Game than does Romo. He had no more effect on the Patriots’ 37-31 overtime victory than did you or I, and he never sniffed a Super Bowl as the Cowboys’ quarterback. The fact that he was trending (mostly with positive comments!) on Twitter most of Sunday evening was a little strange, given the football drama unfolding on the field. But still: Romo’s tour de force illustrated as well as any big game in memory how a good analyst can enhance the fan experience. Romo did what he has done since being thrown into CBS’ big-boy chair for the 2017 season: He mixed genuine, fan-like enthusiasm with an eerie knack for anticipating what would come next. It got so spooky that Twitter was overtaken with wisecracks about his prescience. Romo anticipated what the Patriots would do on a fourth-down touchdown run by Sony Michel, on two key passes to Rob Gronkowski, on a pass to Julian Edelman in overtime, on the winning touchdown run by Rex Burkhead, and others. One could argue that other recently retired quarterbacks could guess what is coming based on formations and tendencies. Maybe so. The fact that he played through 2016 gives him an edge over analysts whose careers ended longer ago. That’s only part of the trick. The other key is his ability to think quickly, communicate clearly and bring a John Madden-like enthusiasm to the job. CBS took a huge gamble in having Romo succeed Phil Simms despite a lack of broadcasting experience. Most other top analysts, including Madden, have built toward No. 1 analyst status, some by at least starting in a three-man booth. The network did give Romo an innocuous Raiders-Titans game for his debut. It was so wary of knee-jerk negativity on social media that CBS Sports chairman Sean McManus was set to provide positive spin afterward to select journalists. As it turned out, there was not much to defend. Reviews of Romo were almost uniformly positive from Day One. This is not as easy as it seems. Romo’s old tight end, Jason Witten, was thrown into the deep end by ESPN on “Monday Night Football” in his first season after retiring, and it . . . well, it did not go as well as for Romo. Romo has detractors. Some say he talks too much. Perhaps so, but that is a 21st century sports television epidemic that cannot be pinned solely on him. Now he is going to work his first Super Bowl. It will be the first time in 14 years — when Troy Aikman and Cris Collinsworth both worked for Fox — that a TV analyst will make his Super Bowl debut. 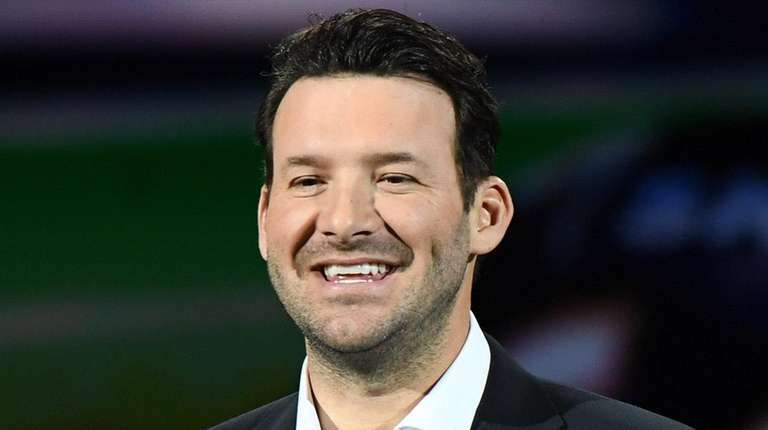 At a CBS promotional event on Jan. 10, Romo said he expected “a little bit of nervousness” but added that that is true of every game, for a player or an announcer. Romo, 38, is three years younger than Brady, but he said he has no regrets about retiring when he did.